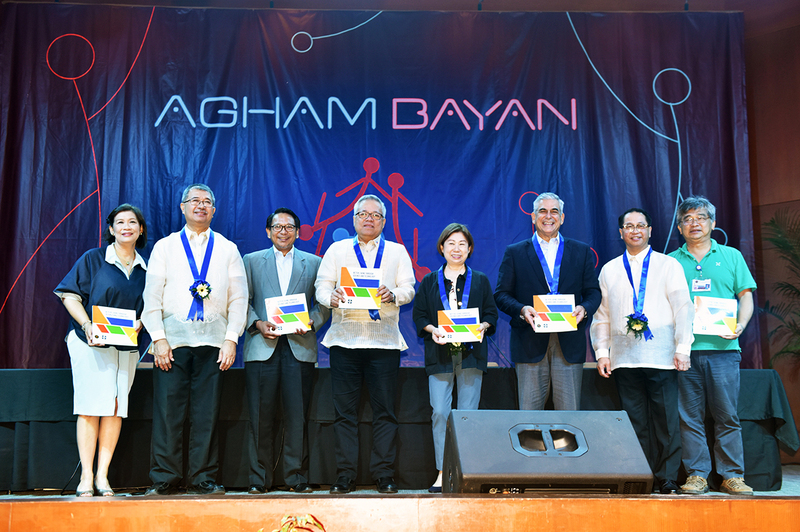 Aghambayan, a one-day science and technology and innovation festival, showcased UP-led, DOST-funded project. 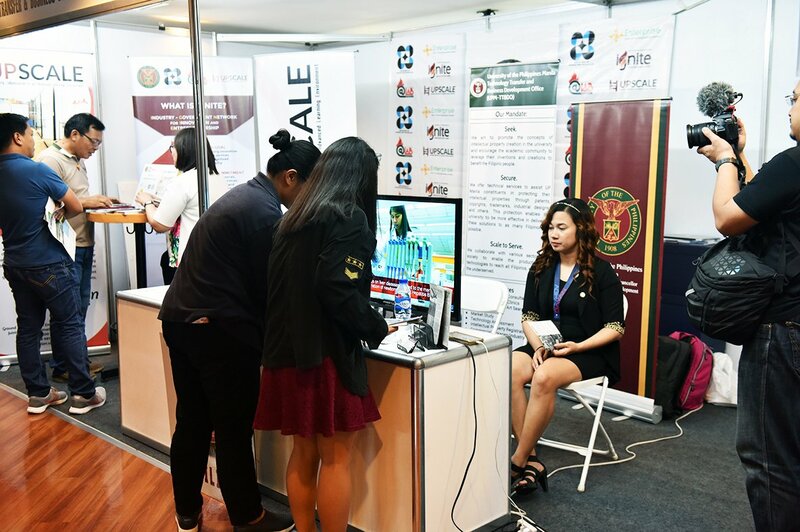 Highlighting the event were an exhibit, panel discussions and a conference with breakout sessions at the Jose Rizal Hall, Philippine International Convention Center, Pasay City on June 20. UP President Danilo L. Concepcion and DOST Secretary Fortunato Dela Peña opened the event with a ribbon-cutting ceremony. “Sa UP hindi lang tayo nagsasaliksik upang tumuklas lamang ng bagong kaalaman. Lahat ng nais nating gawin sa UP ay inilalaan natin ang ating panahon, yaman at kakayahang taglay sa mga saliksik na magdudulot ng pakinabang sa buong sambayanan. . . . Ang agham po sa UP ay para sa bayan. Ang UP ay agham bayan… [In UP, we are doing research not just for the sake of discovering new knowledge. Everything that we do in the University is dedicated through our efforts, resources and expertise to researches that benefit the Filipinos and the nation. Science for UP is for the nation. 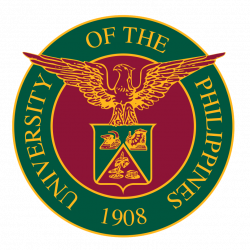 UP is agham bayan],” Pres. Concepcion said during his welcome remarks. On exhibit was a display of scientific works divided into four themes: health and well-being, environment, food, and human resource development-job creation. 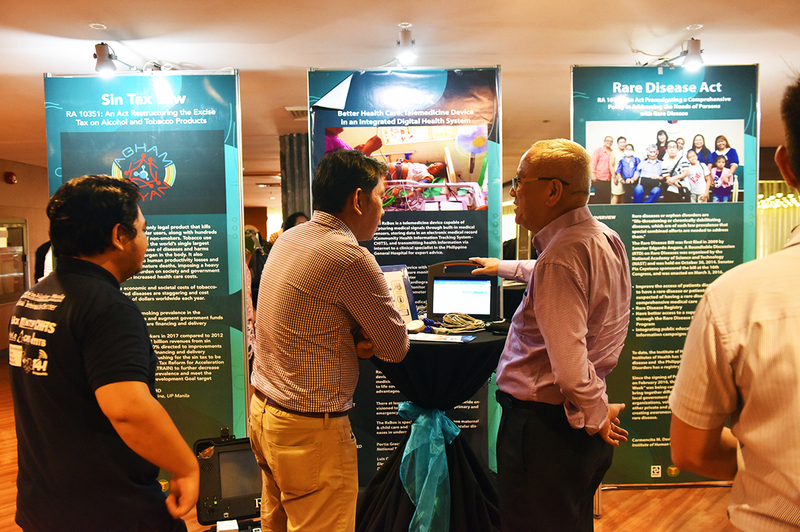 Along with the research exhibits, there were interactive technology demonstration corners as well as actual discussions with project leaders and scientists present at the event. The panel discussions brought together: primary stakeholders of science, technology, and innovation, government and industry leaders, including faculty members and researchers from UP and other state universities and colleges; policy makers; and, investors discussing policy implications and utilization of scientific research and innovation benefiting the public. The industry panel discussion was moderated by UP alumna and ABS-CBN’s ANC anchor Michelle Ong. It was attended by some industry leaders: Roberto Amores of the Philippine Chamber of Commerce and Industry (PCCI), and Dan Lachica of Semiconductor and Electronics Industries in the Philippines (SEIPI). Discussions were on the importance of research and development (R&D) especially to major industry investors. These emphasized the need to review existing policies pertaining to R&D as well as to patent and intellectual property issues. For the government panel discussion, UP alumna and GMA documentarist and journalist Kara David was the moderator, of with DOST Sec. Dela Peña and NEDA Usec. Adoracion Navarro among the key panel discussants. They raised issues on: funding support, strengthening commercialization, knowledge transfer and patent, the government’s trust in the research products of scientists and academe.